In need of an update to your sweater drawer? 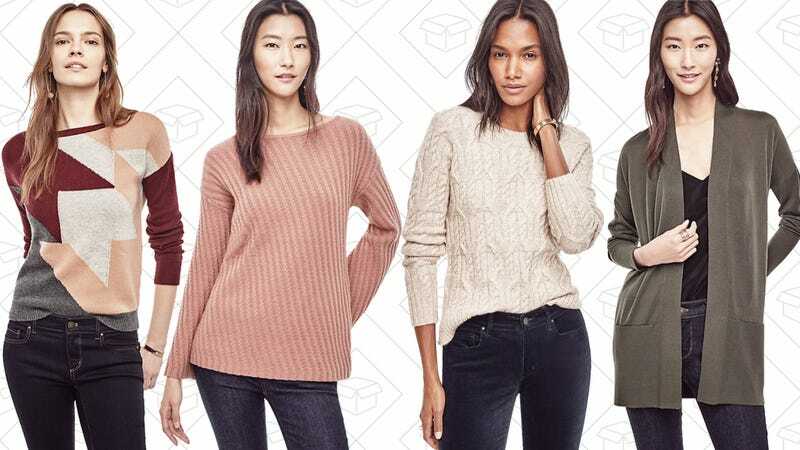 Ann Taylor is marking down a bunch of really great sweaters to under $25. Cardigans, turtlenecks, boatnecks, and more (including some nice, warm Merino wool ones too) are marked down today only.